Home > Enter The Pumpkin Carving Contest > 2013 Pumpkin Carving Contest Winners > The Dollar Store Pumpkin - But Why The Miss-Spelling? 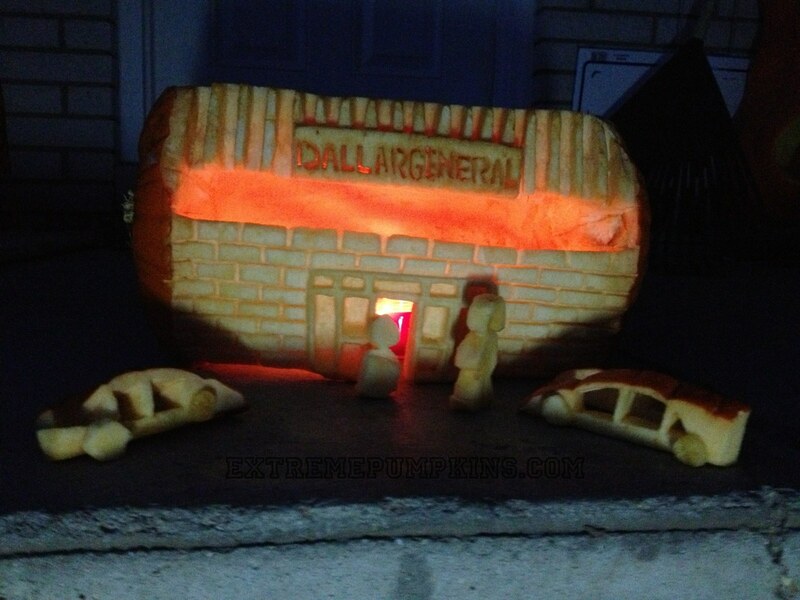 I love this pumpkin, but why, after all that craftsmanship did you spell Dollar incorrectly? Where you concerned about getting sued? Is today's society so litigious that you can be sued for carving a pumpkin in the likeness of a business? I hope not!